Trading currency in foreign exchange markets or FOREX, the world’s largest securities market is available to anyone with small capital. The essence of foreign currency trading is simple. You buy one country’s currency with that of another country. If the exchange rate changes in your favor, you buy the original currency back at a profit. Educate yourself on how the foreign exchange markets work, there are plenty of training material on the internet. You will need to understand the basics of currency values, Learn the basics of foreign currency trading before you risk your money. Forex transactions are normally carried out with very low margin requirements. It’s routine for a trader to put up $1,000 or less to buy a $100,000 lot of currency. While this offers the potential for large profits, the risks are equally great since even small price fluctuations make a huge difference. Select a reputable forex broker/dealer. Due to its global nature, the foreign currency market is mostly unregulated. In the United States, the Securities and Exchange Commission recommends that you choose a broker who is a member of the National Futures Association. The NFA acts as a voluntary self-regulating body. Members must comply with their standards and code of ethics. 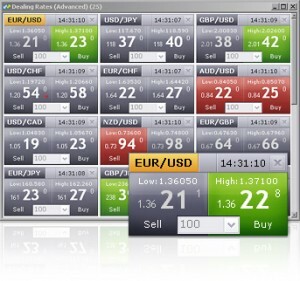 Many of the reputable forex brokers have training tools. Open a practice trading account. Many forex broker/dealers provide these accounts free of charge. You can practice trading foreign currency with real-time data but without using real money. You also get the use of the broker-provided trading software if you don’t want to purchase your own. Decide if you’re going to use a technical or fundamental trading approach. Technical traders, which represent the majority of FOREX traders, make their decisions based on charts, and they buy and sell currencies when they reach certain predetermined levels. Other traders trade on the basis of market fundamentals like news reports. Familiarize yourself with the behavior of the forex market by trading with your practice account “Demo Account”. Experiment with a variety of trading strategies and with different foreign currency securities such as forex options. Using a practice account also gives you the opportunity to learn how to interpret technical indicators–sometimes called forex signals–and to anticipate the effects of news events and national economic policies have on currency exchange rates. 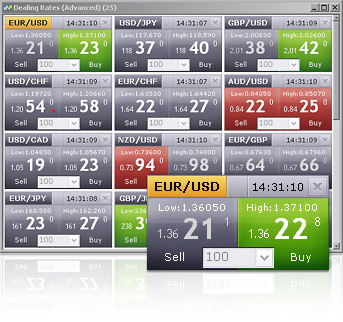 Consider buying specialized FOREX trading software. These can track and analyze data more easily. You can also enroll in many online FOREX courses, but avoid those that make unrealistic promises or charge unreasonable amounts of money. Limit your initial risk by opening a “mini forex” account. A mini account requires only a small initial deposit–$100 or less is common. With a mini account, you can trade small amounts of currency. This permits you to get experience trading with real money without taking undue financial risks. Open a regular forex trading account when you are ready. You’ll need around $2,000 for an initial deposit if you want to start seeing some profit.